In a large pot over medium heat, brown sausage. 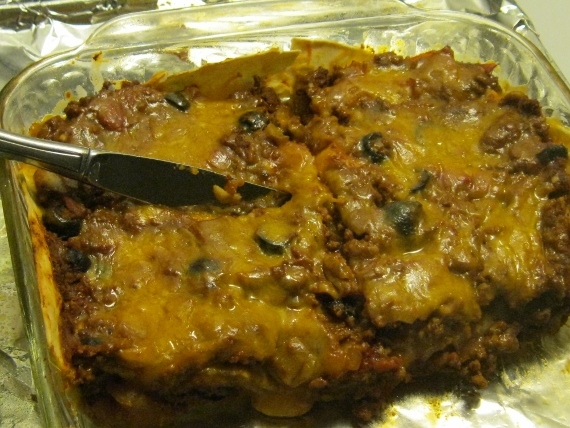 Slice into bite-sized pieces and return to pot. Add next 4 ingredients and bring to boil. Stir in macaroni. 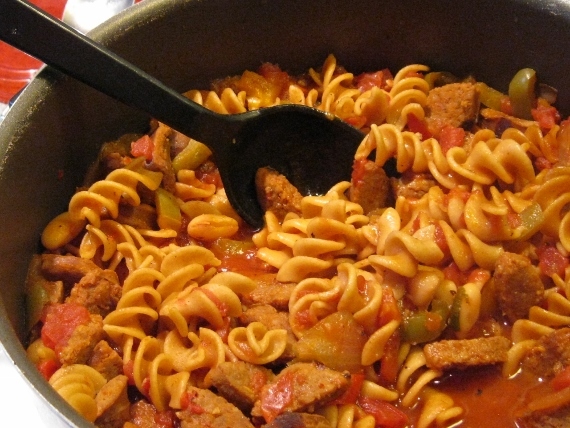 Reduce heat to simmer and cook another 8-10 minutes stirring occasionally. 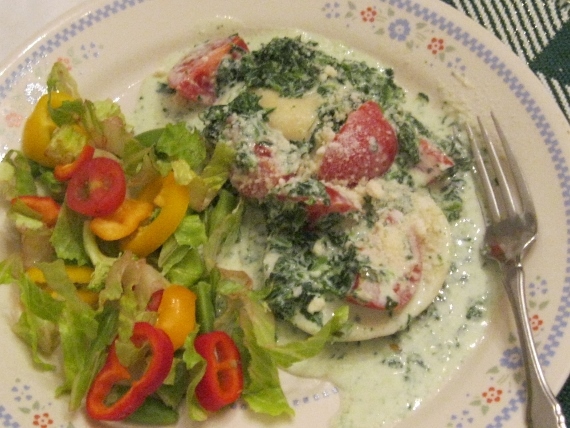 Serve in bowls and top with cheese. I SERVED WITH A BIG FRESH SALAD! 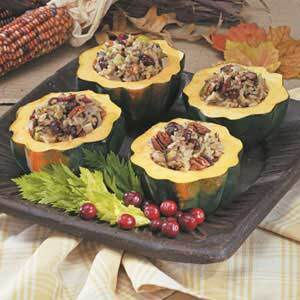 Preheat oven to 350 degrees F. Cut acorn squash in half and remove seeds. Slice into about six 1/2″ rings and place on 9 X 13″ baking dish lightly sprayed with non-stick spray. Spread rings with a little pesto and splash with Greek salad dressing. Top with pine nuts, feta crumbles, red pepper and olives if desired. Bake 15-2o minutes until squash is tender crisp and slightly browned. YOU CAN KEEP IT VEGETARIAN BUT I SERVED WITH PARMESAN CRUSTED HADDOCK AND BROCCOLI SLAW! 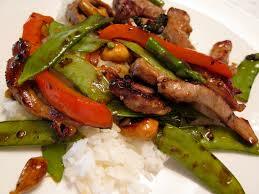 MAKE A VEGETARIAN STIR FRY WITH PEPPERS OF ALL COLORS, ONION, CELERY, SNOW PEAS, BROCCOLI SLAW AND CASHEWS. ADD THE SAUCE AND THICKEN SLIGHTLY. SERVE OVER RICE, COUSCOUS, QUINOA OR NOODLES. ALSO GREAT WITH ADDED PORK, CHICKEN OR BEEF STRIPS OR HAVE SOME GRILLED FISH ON THE SIDE! 1 serving (1 each) equals 275 calories, 7 g fat (1 g saturated fat), 0 cholesterol, 593 mg sodium, 53 g carbohydrate, 6 g fiber, 6 g protein. In a large saucepan, combine the rice with contents of seasoning mix, broth, sage and thyme. Bring to a boil. Reduce heat; cover and simmer for 23-25 minutes or until rice is tender and liquid is almost absorbed. Meanwhile, in a large skillet, saute celery and onion in oil until tender. Stir in cranberries, pecans and parsley. Remove from the heat. Stir in rice mixture.